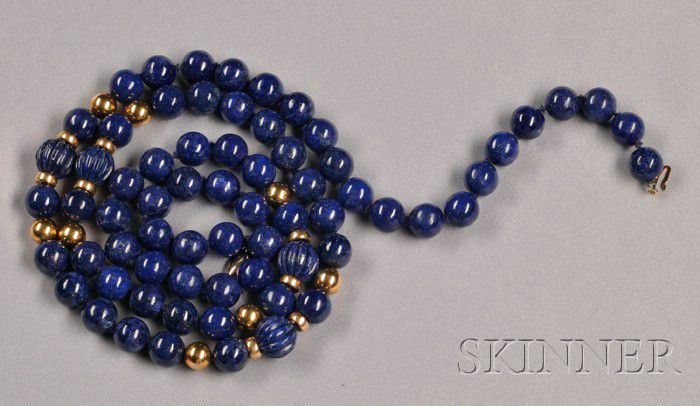 Lapis Bead Necklace, composed of sixty-four polished and four gadrooned lapis beads, each measuring approx. 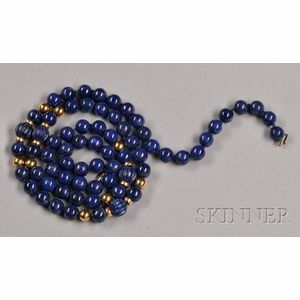 10.00 mm, with 14kt gold bead and disk accents, 14kt gold clasp, lg. 34 1/4 in.